A well-drafted arbitration agreement provides a roadmap for administering the arbitration and helps narrow expectations as you resolve a dispute. With language that speaks to a variety of issues, such as the selected administrative body, the delineated powers of the arbiters, the scope of discovery and more, arbitration clauses can shape and frame the overall dispute resolution strategy. 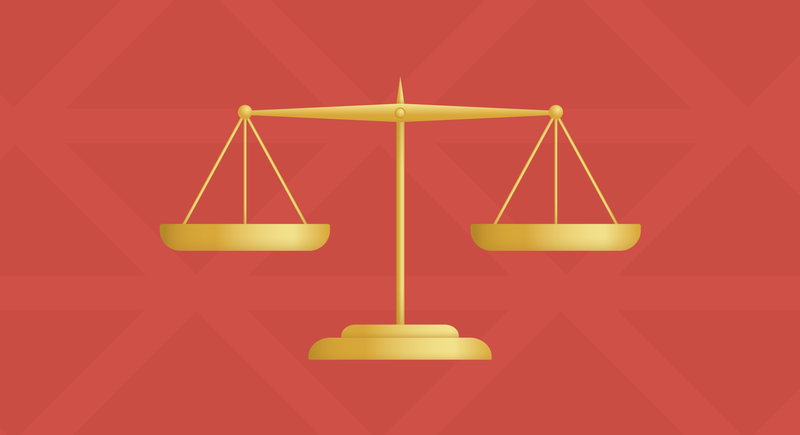 You will want to weigh the considerations of each clause against your own specific circumstances to arrive at an agreement that is suited for your particular matter. Choose the Right Arbitration Mechanism. Straight-up arbitration is not the only option for dispute resolution. Mediation, early neutral evaluation, escalation of negotiation to senior executives and other resolution mechanisms may be better for you. To make an effective choice, you need to understand the pros and cons of each. You might also consider a multi-step process that uses two or more mechanisms, either in sequence or in tandem. The intended result is to resolve the dispute in the most cost-effective manner. For example, if employed in sequence, the least expensive mechanism would go first. However, multi-step clauses can create issues, particularly as to whether the conditions for proceeding to arbitration have been met, and must be drafted carefully. Selecting an Administrative Body. There are a number of dispute resolution bodies available for domestic and international disputes. Each of the administered arbitration providers has promulgated rules for dispute resolution conducted under its auspices; but there are significant differences among the procedural rules of the various principal arbitration providers. Accordingly, the choice of administrative body can be of some importance and should be done with care. Individual Arbiter Selection. Probably the most significant topic that may be addressed in the arbitration agreement is the selection of the arbitrators. There are several potential components to the selection of the tribunal, namely the number of the arbitrators, the qualifications or attributes of the arbitrators, the method of selection and the conditions the parties may wish to impose on service. Framing the Scope of Disputes for Arbitration. A provision pertaining to the scope of issues to be arbitrated needs to be carefully drafted and unambiguous. Any vagueness or ambiguity in the scope of a matters clause could render the resulting award unenforceable and may result in costly post-award litigation. The issues that can arise are numerous, starting with whether the provision is narrow (“a dispute as to a breach of this Agreement”) or broad (“a dispute arising out or relating to this Agreement, the subject or a breach thereof”). Choosing the Seat and Location of Hearings. The location of the hearings is the place(s) where the tribunal will physically sit during the hearings. The seat of the arbitration is the location whose laws typically will govern the procedural aspects of the arbitration. The choice of the seat may affect the outcome of the arbitration and can be of crucial significance. If all of the hearings are to take place in the same location, the location of the hearings will usually be considered the seat. Unless the location of the hearings affects the designation of the seat, most issues pertaining to the location of the hearings are non-legal, tactical ones, going to matters such as convenience to the parties and witnesses and cost. Choice of Law. Potentially, there are a number of different domestic and foreign jurisdictions whose laws may be applicable to any particular dispute. The parties to the agreement may have little or no control over the jurisdictions either governing the parties’ ability to agree to arbitrate or where the award will be recognized and enforced. However, the parties are typically able to agree to the arbitral seat – the jurisdictions whose laws govern the agreement to arbitrate – and the substantive law of the contract. Generally, the parties have fairly wide latitude to choose each of these jurisdictions. Confidentiality and Trade Secrets. Although the tribunal and administrative body, if any, are generally subject to an obligation of confidentiality and the arbitral proceedings are in most cases held in private, many national laws and arbitral rules do not provide any assurance of confidentiality from the parties or third-party witnesses. The parties can take steps to mitigate this risk, including (i) selection of the seat and the administrative body with confidentiality in mind, (ii) restricting third-party witnesses to “need-to-know” information and (iii) the use of and appropriate confidentiality provision, either in the arbitration agreement itself or in the container agreement or in a “protective order” entered by the tribunal. Scope of Discovery. The laws of many countries provide for little or no pretrial discovery, whether in court or in arbitration. American litigation style discovery is at the other extreme and has impacted the scope of discovery in both domestic and international arbitrations conducted in the United States. The topic has been the subject of much debate that indicates the wide choice the parties have if they wish to specify the scope of the discovery. In essence, unless a particular discovery vehicle is prohibited by applicable national law, the parties are free to agree to any level of discovery from none at all up to and including unlimited full American-style discovery. Parties may alternatively forgo drafting on the issue entirely and leave the matter to the discretion of the tribunal. Allocation of Fees. The costs of the arbitration fall into two categories: 1) the costs associated with the arbitral process, namely the arbitrator’s fees and those of the administrative body, if any, and 2) counsel fees and the costs of the preparation and presentation of a party’s case. These may be substantial. In the absence of an agreement between the parties, either expressly or indirectly through the arbitral rules adopted by the parties, the right to claim these costs must be based on applicable national law. These laws vary, but it is generally the case that the recovery of these costs is more difficult for arbitrations seated in the United States. Limitations of Claims and Damages. Most jurisdictions have statutes of limitations that bar the bringing of old claims that arose beyond the limitation period in question. However, relying on national law to determine this period may be insufficient for at least three reasons: 1) there may be a choice-of-law issue, 2) there are jurisdictions where arbitrators are not bound by statutes of limitations, and 3) the parties may simply wish to have a private statute of limitations different from that provided by the applicable statute. With regard to damages, some jurisdictions have laws that allow for punitive or other non-compensatory damages while others do not. In countries that do allow for punitive damages, there is the question of whether an arbitral tribunal, as opposed to the national courts, has the power to award punitive damages. In the U.S., arbitrators do have the power to award punitive damages unless the parties agree otherwise. This outline is based on Thomas Halket’s book, Arbitration of International Intellectual Property Disputes (Thomas D. Halket ed., Juris Publishing, 2012). Tom Halket has over 40 years’ experience advising domestic and international clients on general corporate and commercial matters. He has also served as an arbitrator in over 100 matters and is currently at work on another book on the arbitration of IP disputes in the United States. To schedule an appointment with Mr. Halket, submit a request here or call 646-650-2025.